Derived from Marquis "Who’s Who in American Sciences"
Publication: Who’s Who in Science and Engineering. This is only a very short Biography. For the more interested person there exist a very interesting book-long Biography at Request only. This is only a very short Biography. For the more interested person there exist an updated and book- long Biography at Request. Gordon Yarden Land© was born in Germany where he lived during World War 2. His mother the Jewess Sophie Henriette Land was of Bohemian origin. In 19 th Century, most of Gordon's Bohemian family had migrated to the UK and the USA. G.Y. Land is a Grand Nephew of Edwin Herbert Land (1909-1991). Land lost his family when he was three days old as to the Nazi prosecutions of Jews and racism. As an orphan for four years, he was adopted by a French-Dutch family and lived in Europe in a multicultural and multilingual family. After passing his HSC and a Bachelor of Commerce degree Gordon Land worked within the Management Sector of Philips Head Office and later also at General Electric. His love was sciences and especially astrophysics. Gordon Land furthered himself by undertaking studies at the University of Strasbourg, France and Basel. Switzerland in physics and his hobby linguistics. Being a devoted naturalist during his studies Gordon Land became a close associate of Dr Schnitzer and Professor Kolath being involved in the "Moenchweiler Aktion" Arbeitskreis Gesundheitskunde, St. Georgen, Black Forest, Germany. He worked within the International Society on Research of Civilisation Disease and Vital Substances. At the time he began to “fight” against pollution of water and forests as well as the de-naturalisation in the field of nutrition. Gordon Land then began to specialise in the extraction process of biologically active substances from archegoniate plants. In 1976 Gordon Y. Land migrated to Australia. Shortly after his arrival in Australia, Mr Land worked within the management hierarchy of Estee Lauder, Sydney. He was later employed, in the Head Office of Christian Dior, Paris-Sydney, and Ella Bache, Paris-Sydney as Manager in Charge of all of the Dior and Bache Retail Concessions within the Australian exclusive department store chains. Gordon Land was also in charge of training of the Group’s personnel. While with these companies, Gordon Land produced and hosted countless national television and radio programs (often very critical) concerning cosmetic, health care products and beauty treatments. His scientific knowledge about lasers and the dangers in their application made him a well-known authority. From this time on, Gordon Land became involved in the prohibition of lasers and electro-physical treatments by unqualified practitioners. In this Gordon, Land was greatly supported by Professor McCarthy of Sydney University, Professor of Electro-Physical Medicine. Through his expertise, he developed a close working relationship with the AWA Radio Network where Gordon Land wrote, produced and presented a daily program "Looking Good" thus extending his public image Australia wide and internationally. Gordon Land being a scientist never liked anything superficial but used the cosmetic and fashion industry as a job for earning excellent money and gaining wide publicity. After he had a good chance to return to more meaningful things in life G.Y. Land returned to his chosen and loved the field of computer sciences. He was appointed General Manager (CEO) of MDS a leading New York (Herkimer, N.Y. ) computer manufacturer specialising in computers for satellite and missile tracking and for data entry. Later on Gordon Y. Land joined the management of the Gestetner organisation as head of the entire computer and peripherals division in manufacturing and distribution of Gestetner later Lexmark products. These appointments made it possible for G.Y. Land to finance his research in astronomy and the development of the first Super Multi-Array Radio Telescope as well as optical instruments. He successfully produced laser and image intensifying instruments designed for science and military applications. For his outstanding work, he was honoured with various memberships to prestigious Astronomical Societies. For his research, he was awarded the senior member of the American Institute of Aeronautics and Astronautics (AIAA). Besides his main work, G.Y. Land broadcasted a weekly science program for the Australian Broadcasting Corporation (ABC - the official national broadcaster for Australia). To this day, he displays a deep understanding and love of research and lecturing on the M42 and the M43 in the Trapezium of the Orion Nebular. 1989 lecturing in Hobart, Tasmania, G.Y. Land was honoured to introduce the first Space Science Stamps by Australia Post. He commuted often to Sydney and had to stay in hotel accommodation. After an accident in a lift G.Y. Land received a blood transfusion and became violently ill. This was due to receiving a contaminated blood product to combat an existing bleeding disorder. Ever since he was disabled and had to retire from most of his work. He never gave in to his illness and lectured at various institutions. At times his students thought as to his poor health that he would not see the end of the lecture they attended. Land is a fighter and under the care and kind attention of Professor John Dwyer, Sydney University, Chair of Infectious Diseases and Head of the Price of Wales Hospital Sydney, his condition was still considered life-threatening, but stable enough to go back to writing, some lecturing, and broadcasting his favourite work since he started with ten years of age. G.Y. 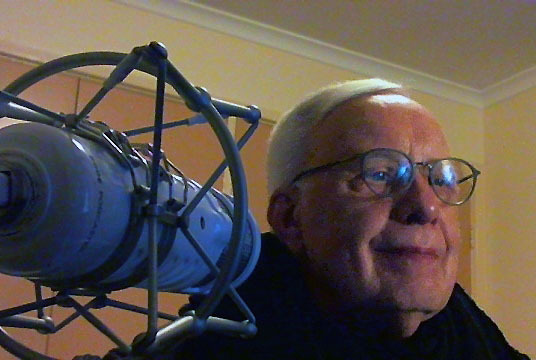 Land then began to devote all of his time to writing, producing and hosting the “The German Hour©”, which went to “air” via satellite to the 360 radio stations of the CBAA (Community Broadcasting Association of Australia), and broadcasting to radio stations in Australia and many other countries. He never gave up to fight for his life and science work. Bedridden G.Y. Land produced and hosted 127 episodes of “The German Hour”. Finally, in appreciation of his work, the Goethe Institute (Das Goethe Institut) ordered the entire collection of “The German Hour” for their international libraries, the programs went to air in Berlin, Germany, and all over the world. During this stage of his life G.Y. Land founded a Community based Organisation, named Radio and Media Productions© (RMP) with a weekly broadcast entitled “ComputerTalk©”. This topic was an editorial for and about the computer industry. The editorials appeared in the print and broadcasting media. ComputerTalk just as the Germ Hour went to air via satellite to Australia, China, India, South Africa, and South America. Anticipating the emergence of the World Wide Web and the Internet, as a base for broadcasting worldwide, Gordon Land started a daily editorial on the website of Radio and Media Productions. The program was called ComputerTalk©. This was one of the first ever daily editorials on the Internet specialising in computers and the computer industry. The program was appreciated by the industry. Land tried not only alphanumeric broadcasts on the Internet, but also experimented in live broadcasts. This began with the help of Apple Computers Inc and with the cooperation of the advanced computer lecturers at the Australian National University (ANU) Canberra. The first broadcast contained life transmissions and interviews with the Chief Executive Officers of IBM, Compaq, Hewlett Packard, Microsoft, Apple and other companies. This was the first-ever event of life broadcast and canned recordings on the emerging Internet. As the quality of sound transmission on the net improved and IBM and alike-compatible computer developers started to become sound aware G.Y. Land developed a new computer medium called MusicTalk© with the support by Deutsche Grammophon, PolyGram's (Universal) and their large repertoire of Music in Classics, Jazz and Pop. MusicTalk© was the first ever full music program on the Internet. Jochen Stossberg the director of Universal Records (Philips) Classics and Jazz supported MusicTalk©. In the early stages of Internet development, nobody took G.Y. Land and his web broadcasts seriously and smiled about him. Years later, the large corporations began producing Internet broadcasts and today it is as common as on the air radio broadcasts. Nowadays G.Y. Land has been left behind and is forgotten, for he had never patented his work. He saw his work and idea as an Internet contribution and pioneer effort. Today the sound quality is better than Stereo-FM and as programs are streamed around the world in good quality Gordon's ideas have made enormous profits for many companies. At the time G.Y. Land was still very ill and partly disabled. He did years of work free of charge as his contribution to the rather unthankful commercial radio community. 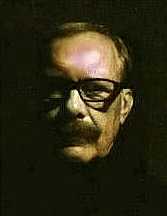 Most of his radio programs were written and broadcasted while G.Y. Land was gravely ill in bed, recorded on tape, digital media and broadcasted via a dedicated telephone landline. However, this is a matter he prefers not to talk about. He still did not want to give in to his medical condition. Fortunately, modern medicine has developed medications against viral diseases and as always in his live miracles happened at the last minutes in his life. Gilead pharmaceuticals developed Harvoni and Gordon was selected as a test person. The medication was astronomically expensive. In 2016 Harvoni cost A$80.000 for only a mere 60 tablets as a cure against his illness. The medication was successful and Gordon is still slowly recovering. Land now works on refining and extending his existing sound algorithms to better the sound so profoundly that even today's best recording qualities are exceeded. Nevertheless, Gordon Y. Land will not provide third parties with his algorithms or extended developments for sound applications. On the commercial side of things: Prof. G.Y. Land and Dr Mark Hannah his former partner and now Lecturer at London University, UK owned the world famous Minox Company, specialising in ultra-miniature special cameras and optical equipment for Government, National Security, Military and Police Forces, Sciences, Medical as well as for Private applications. The purchase was a chance matter unfortunately with a huge financial loss. Minox in Germany was sold to Leica (Leitz). Ernst Leitz, Wetzlar, Germany, were the inventors of the 35mm photo cameras invented and developed by Prof. Barnack (1913). G.Y. Land’s hobbies include Computers, Science, Optics, Photography and playing music, Not to be forgotten Physics as this runs in the family. There is also his semi-professional hobby of Alpaca and Ultra Fine Merino Sheep Farming on his Hillcrest and Herbertleigh farms in the Southern Tablelands of NSW near Goulburn. Unfortunately, he sold the farms. During his heydays, he collected exclusive Cars, Swiss Watches, famous Paintings, and antique Persian Tribal Rugs. 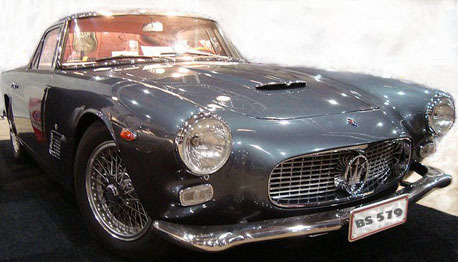 In younger years and living in Switzerland he took part in car racing: Maserati Sebring Sports Cars. 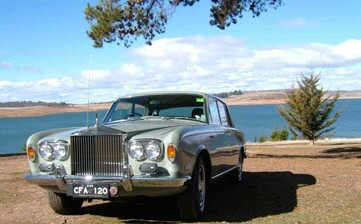 Gordon Land’s best car ever was his stunning, rare, long wheel based Rolls Royce Silver Shadow, Mulliner Park Ward. 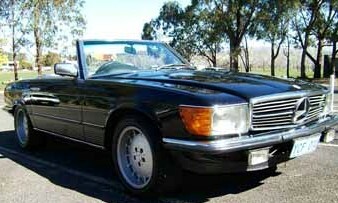 He loved his Porsche 925 SE, followed by the only Mercedes Benz 500 SL in Australia. Up to migrating to Australia in the 1970ths, he held a Pilot's License licensed for some types of planes from brands as Cessna, Pipers, and his beloved Twin Bonanza and the very speedy Tripacer. He was a flying enthusiast par excellence and he often smiles talking about his flying instructor Major Althoff a fearless former Nazi war and acrobatic flying icon. He often took his new students for the flight of their life and had the greatest fun to scare them to death. However, Major. Althoff regardless of his former political viewpoint was the best of the best flying instructors money could buy. Below you find some of his registered and loved cars. During the last 8 years Gordon Land© drives a superb special edition eight cylinder LEXUS LS 430 S manufactured in a very low number. 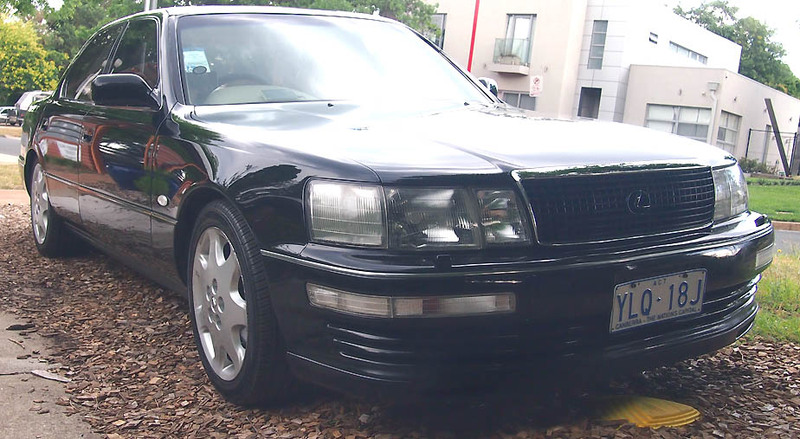 This is the second LEXUS LS 430 S and it is the best unsurpassed quality car he ever had. The car has a very low height and it is more a sports car than a limo. In 2019 Gordon Land decided to go with an environmentally friendly car and he sold his beloved Lexus eight cylinder. 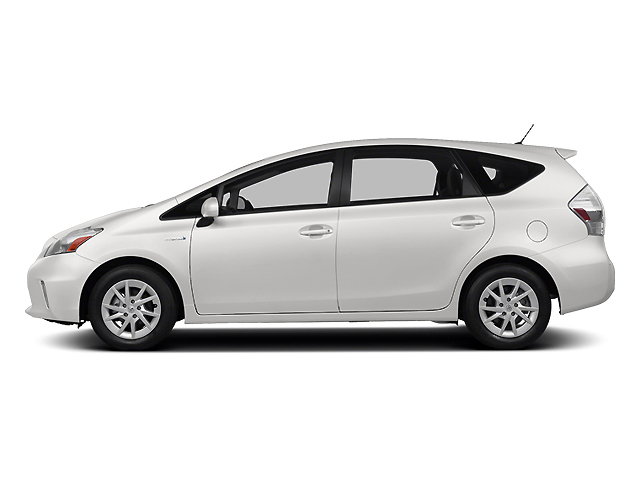 To be up to date with the modern world he purchased a Toyota Prius Hybrid something one would never think a former car-racing enthusiast would do. He did! It is a joy to drive the Prius says the "Ambassador for Product Review" and he praises his new Prius for excellent value and very low petrol consumption. He loves his new Prius. 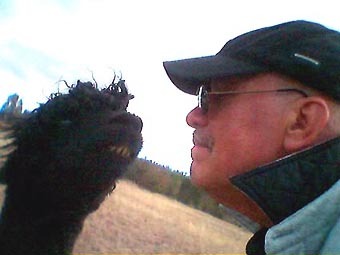 As mentioned above for some years, Gordon Land lived at his historic Hillcrest and Herbert-Leigh Sheep and Alpaca Farms© (founded in 1862) in the Southern Tablelands, of New South Wales, Australia. 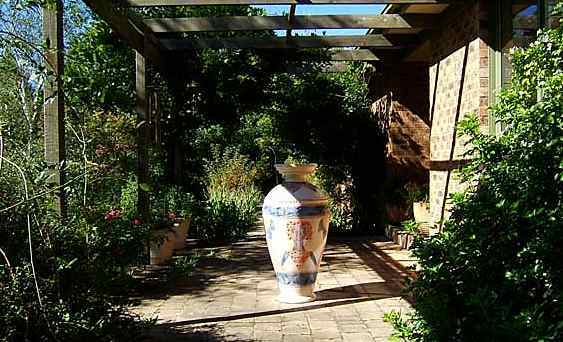 Hillcrest and HerbertLeigh Farms when built were set out among some of the most beautiful scenery of the area, the farms, to this day, afford sweeping views of the surrounding valleys and mist clouded hills running creeks and deep green Australian Forests. Ramsey was G.Y. 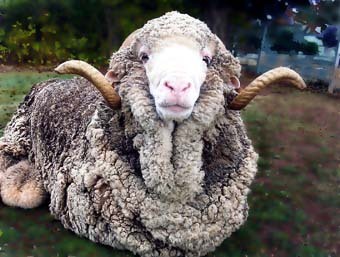 Land's best friend before Ramsey The Ram was murdered in 2007 by a madman. Sammy and Ramsey were murdered in 2007 by a madman. In the year 2001, he sold Hillcrest and Herbert-Leigh Farms. Land moved with his animal companions to his property close to the Snowy River in the spectacular Snowy Mountains - the Australian Alps, “The Rooftop of Australia”. His house at Lake Eucumbene was a unique retried of natural beauty and wildlife at the largest man made lake in the Southern Hemisphere the Snowy Mountain Hydro. In February 2004, Land moved to West Africa and became Professor and Administrator at the GAK Academy for Computer Sciences and Linguistics at Accra. He later called this step one of the most foolish decisions he ever made. He did not realise the danger of the politically tumultuous status of West Africa with its serious racism against white people, their different religions and lifestyles. This nearly cost him his life as he was prosecuted by the military for his outspokenness against corrupt politicians and presidents. Penniless and gravely ill he returned back to Australia where he spent many months under the care of the Canberra Hospital, Australian Capital Territory. G.Y. Land is currently writing a book about his life: his beginning, the loss of his family and his often-remarkable life that touched so many famous personalities of the performing arts, theology, politics and sciences and also of people of any race and standing. Under a pseudonym, G.Y. Land is a writer of Murder Mysteries. In sciences, he is deeply involved in research on Anti Gravity Propulsion, one of his favourite subjects. He follows into the steps of Nikola Tesla his idol and favourite scientist and human. Since 1978 on and off, Gordon Land is a member of the world oldest radio organisation the Wireless Institute of Australia. He always wanted to make his HAM Radio License but being always abroad there was never time to learn all this high technological stuff. He learned and won his government broadcasting license by passing 100% in practical and 98% in theory, not a bad achievement for his age. His call sign is VK1FGYL. After a life full of science work he now spends his future time lecturing, passing on his knowledge as well as writing. 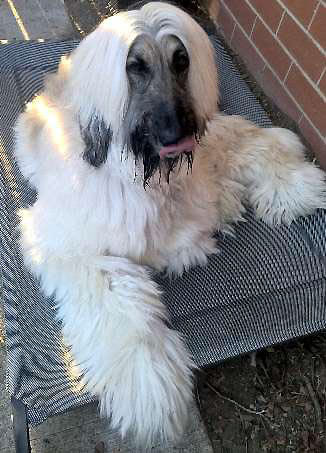 He now lives with his blue Persian Tazi (Large Afghan) Dog Mr Grizzly Bear in Canberra, the Capital City of Australia. In November 2016 the younger brother of Mr Bear, Ragnar, joined the family. 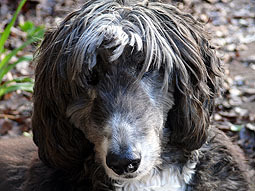 Ragnar is six years younger and platinum blond. Unfortunately, Mr Bear passed away the end of November as he never recovered from a dog attack in March 2016. Gordon and Ragnar are still very sad about the loss. In March 2018 the daughter of Ragnar and the nice of Mr Bear, Sascha was added with lots of love to the Land family. She partook several times at the Sydney Royal Easter Show and is a little smaller carbon copy in looks as daddy Ragnar. As requested by some of his friends was the idea to study for his personal Radio License. In March 2017 he was awarded the Amateur Operator's Certificate of Proficiency and License No. :10210948/1 with the call-sign of VK1-FGYL. Nevertheless, and as of the atmospheric complications during the years 2015 and 2025 short wave frequencies at certain wavelength cannot be received or broadcasted and as to the unfriendliness of radio amateurs in his area on the 16th April 2019 he decided to surrender his radio license. "The hobby is useless, expensive, and most people, especially in Canberra the Capital of Australia are not suited to be my friends". Canberra is not the place to make friends. He always disliked Canberra as it is a city without character and history. He stated that he can live without Canberra but has to live in the ACT. The radio amateurs are just as unfriendly as the climate in Canberra. 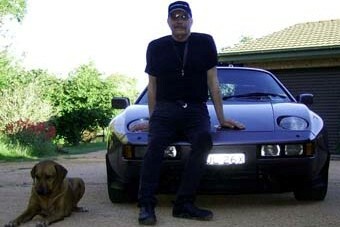 He is a member of the worldwide eldest radio club the Amateur Radio Club of NSW (ARNSW) and enjoys their fellowship. He is involved with broadcasts to the ISS (International Space Station) and specialises in designing and building of antennae for radio and satellite reception and broadcast. Gordon Land does not allow any photos to be taken. Here are two very rare shots taken during lecturing and during studio recordings. 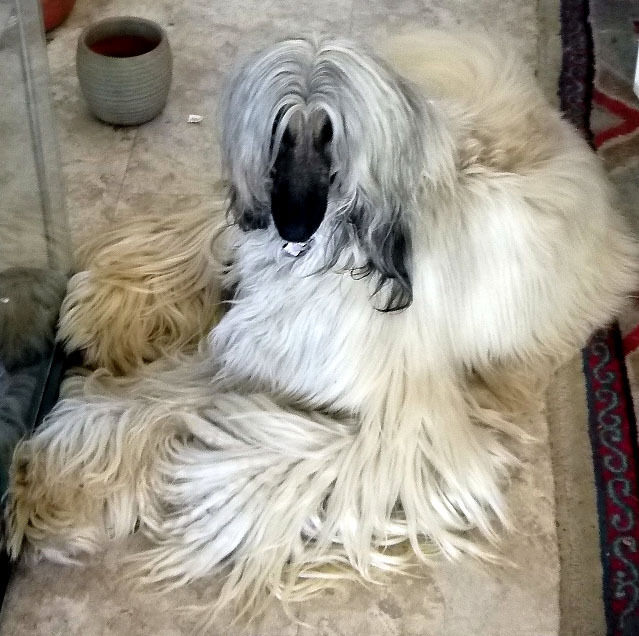 The left photo shows G.Y. Land during lectures at G.A.K. Academy at Accra-Adenta-West Africa. The right photo shows the "retired" Gordon Y. Land during a broadcast to radio amateurs at the city of Cali in Columbia, South America via his beloved amateur radio station call-sign VK1FGYL. He is often "On the Air" speaking worldwide and in space via satellite to other radio amateurs living in the most spectacular places. He also loves to edit and record new episodes of LifeStyle. He states that with about 80 years of age life only just begins. In his old age, he likes to follow his friend Johannes Heesters 108 and working up to his last day in life, smoking every day a big cigar and drinking a glass of red wine. G.Y. Land never smoked nor did he drink alcohol and he is a 99% vegetarian. He always jokes that because of this lifestyle he expects his life to extend up to at least 115 years of age. 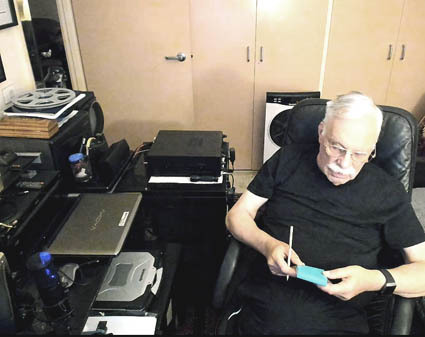 He says that many LifeStyle, QSO's, and TV programs on Skype are still to come. Radio and Media Productions© RMP© ComputerTalk© MusicTalk© MediTalk© LifeStyle© The German Hour© are registered Copyrights. Infringing or using our copyrighted names will attract legal action national and international.